Over centuries, wise people in various religious traditions have speculated that suffering has the potential to bring clarity or illumination to one’s thoughts and life. That may be true in discussions among philosophers, but I’ve generally tried to prevent suffering in my life and search instead for rewarding experiences that bring happiness and satisfaction. It’s not logical to compare my actual experience with those who are gassed in Syria or who lose everything to fires in Colorado, but my experience that day in August 2005 has made me always alert for danger that is possibly just around the corner. My hyper-vigilance, which fires up nerve endings and gets my whole body ready to fight or run, is still present, at every moment. I didn’t die, obviously, when at least a dozen federal officers stormed into my house that day. I’m not maimed. From all perspectives, I have a pretty full and rewarding life. As it’s now eight years since the horror, I wonder why I’ve reverted back so intensely and re-created the internal reactions of my earlier diagnosed Post Traumatic Stress Disorder. My Exaggerated Startle Response, or “jumping”, as I’ve called it for years, is back — on steroids. My body reacts to any unexpected sound or motion. It’s as if I receive a strong electric shock that stuns and wounds my whole body multiple times a day. 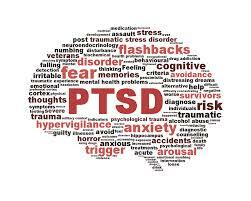 This PTSD was caused by the federal prosecutor threatening me with arrest, telling me I would have to appear before a grand jury, that I was a person-of-interest and that that they would seize my house, any day now. This intimidation persisted for almost two years. The federal prosecutor, who had my then-husband where he wanted him, locked away in jail, kept searching around for possibilities that might also show me to be guilty — of something. Charging two people would have been an even bigger catch than just the one he already had. I imagine he never once considered how lies and unjust stress could affect me. “I’m just doing my job,” he probably would have said, and not given me a second thought. I don’t wonder how a wasp feels if I kill it. It was probably the same with the prosecutor, if he thought about me at all. Wikipedia explains that Eye movement desensitization and reprocessing (EMDR) is a psychotherapy which emphasizes disturbing memories as the cause of psychopathology and alleviates the symptoms of post-traumatic stress disorder (PTSD). EMDR is used for individuals who have experienced severe trauma which remains unresolved. The goal of EMDR therapy is to process these distressing memories, reducing their lingering effects and allowing clients to develop more adaptive coping mechanisms. This entry was posted in EMDR, federal legal system, Legal Threats, PTSD, Uncategorized. Bookmark the permalink. I have practiced EMDR for years, since 1992, and I love it. It does take a lot of ego strength to allow yourself to be open again to the memories, but it really can resolve issues way, way back to the earliest instance. Good for you that you are taking good care of yourself. Maggie Scarf’s book on EMDR is very interesting too, about “small t traumas” although I see yours as a large T! And clock time has nothing to do with how strongly those memories can come roaring back. Sending you love, Jane. Your journey continues. Please remember that this is not you “going back,” but a new challenge to face. You may continue to need to reach out for support throughout your life, and I am heartened that you are able to not only seek the help you need, but also to share your experience so that others can be fortified by your incredible strength. Thank you, Jane, for your usual insightful, beautifully written observations and honesty. You always touch me with your writing. Such a clear reminder that the heart and the mind and the body are all one. Oh Jane, I’m so sorry that you are having to live with such stress and strain again. I wonder if Maury being ill has triggered it? The thought that your safe relationship was vulnerable. I send my love and support.